The newest update for PlayerUnknown’s Battlegrounds is here and it’s bringing a few big improvements to items most people don’t use often, as well as some much needed performance upgrades. The biggest change with this update — called patch 1.0 update 14 — are tweaks to several different types of grenades. Frag grenades are getting a little buff to their damage, as well as a radius around them that does damage based on how close a player is to the explosion. Meanwhile, stun grenades will now prevent players from seeing, hearing or being able to shoot accurately if they are hit by the grenade’s flash. Finally, Molotovs are getting a whole lot more dangerous with a bigger area of effect and fire that will spread across wood surfaces for a limited amount of time. 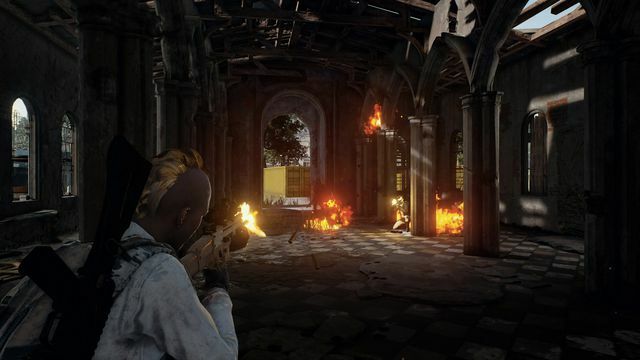 According to developer PUBG Corp., these changes were made to help keep frag grenades strong, while making stun grenades and Molotovs a little more appealing to use. But grenades aren’t all that’s changing in this update. PUBG Corp. has also done some work to the game’s back end to improve performance. A few of these changes are aimed at improving the game’s frame rate, but the most meaningful improves its network performance and, according to some players, may have almost doubled the server tick rate. What all this means in practice is that PUBG should feel a lot better to play after this patch with everything moving smoother and with significantly less lag. For a full look at what’s changed in PUBG update 14, you can check out the official patch notes.